1. Did you know that the number of children reporting back pain has increased by 43.6% in recent years? 2. I can even bet that not many of you know that a child should carry less than 10% of their own body weight. 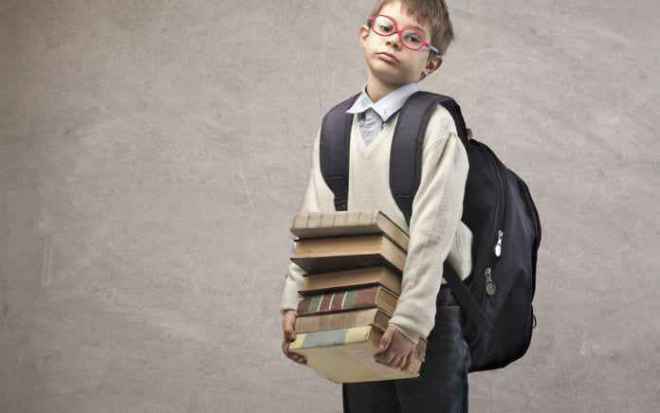 So if your child weighs 30 kg, he should be carrying not more than 3 kg in their school bag. 3. Also, are you aware that experts say that long term back deformity can be caused in children who regularly carry more than 15% of their body weight over their shoulders? 4. Last one, did you also know that there is an increase in number of children suffering back and neck pain at the age of 10 to 14 years and the doctors report rise of spinal abnormalities in children at this age? If your answer is ‘no’ for most of these questions then you must continue reading as there are lots that you are not aware of. The weight of school bag of any child has been in question for a long time and parents have complained about it in the past. But there is lot you can do to ensure that the school backpack is perfect for your child by choosing the right one. How? Read on. 1. Wide Strap school bag – The shoulder straps of the backpack should be wide and padded so that they don’t dig into the shoulder. Also, a padded back panel can be good for avoiding the poking of sharp books and objects on your child’s back. It’s also important to put both the straps on the shoulder to keep weight balance and prevent pain in shoulder. 2. Avoid Full size school bag – Full size backpack should be avoided. Too much room in the bag results in making the bag heavy. 3. Avoid heavy school bags – Remind your child to take items that are only absolutely necessary. It is also advisable to carry some items separately so that the child do not have to bend forward to compensate for the weight. 4. Balancing – When packing the bag, make sure that the heavy objects are either on the bottom or towards the back of the child. It will help the child to maintain his balance as well and keeping the back straight. Ask your child to inform you if there is any back ache that he is experiencing. Also, a little bit of strengthening the upper back by regular exercises also helps. These are some of the key points to keep in mind when buying schools bags just to make sure that your child is not a victim of any spinal injury.